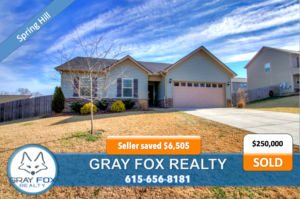 This growing family needed help selling their home in Spring Hill that they were quickly outgrowing. They took the time to keep their home in good shape and they went the extra mile to stage the house. We quickly sold their home in just four days! * Client savings based on a 6% listing agreement. In general, commissions can vary.